Celebrate the ones you love with this adorable glittery heart-shaped board book! You are the sun in my sky. Each page of this adorable board book is die-cut in a different shape. 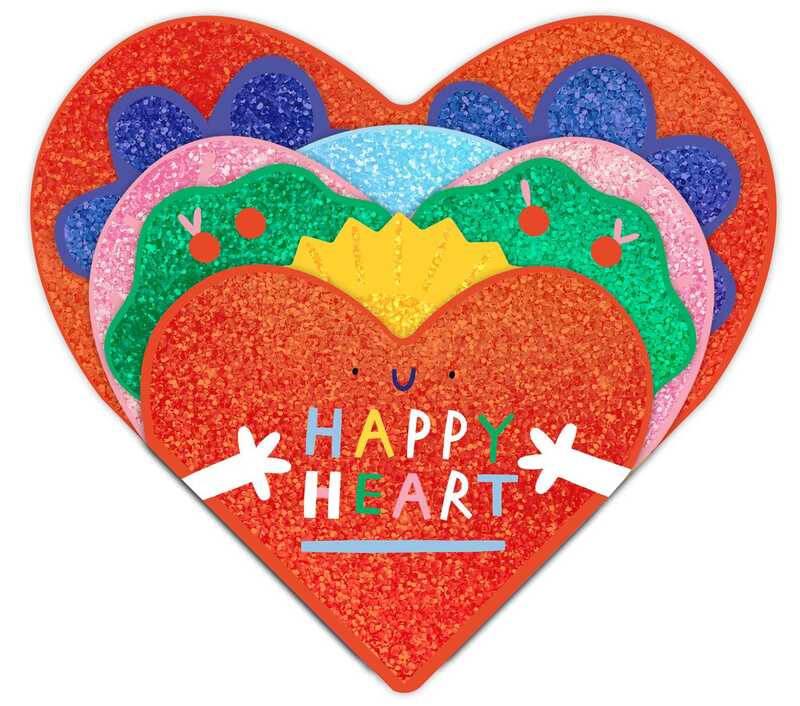 With sweet, loving text, bright, happy illustrations from Susie Hammer, and glitter on every page, Happy Heart is perfect to share with someone you love!